What does CAB stand for in CPR? CAB is an acronym used in CPR training. 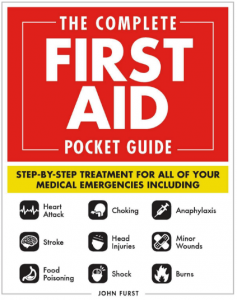 it stands for Compressions, Airway, Breathing and is taught on American Heart Association (AHA) CPR courses. The CAB acronym is designed to emphasise the importance of quality chest compressions over the delivery of rescue breaths. Chest compressions are the most important component of adult CPR. The most important component of CPR is prompt high quality chest compressions. 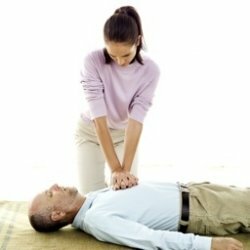 Chest compressions should be delivered over the centre of the chest (sternum) at a rate of 100 – 120 compressions per minute. Each chest compression should be 5 – 6cm deep and the chest wall should recoil fully after each compression. Chest compressions manually pump blood around the body and ensure the brain receives a supply of blood. 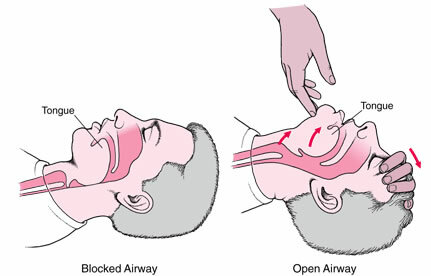 Once 30 chest compressions have been delivered then attempt to open the airway by performing a head tilt chin lift. The photo below demonstrates this technique. This manoeuvre moves the base of the tongue away from the back of the throat and helps maintain an open airway. If trained, you can deliver two rescue breaths after each set of 30 chest compressions (giving a ratio of 30:2). To deliver rescue breaths you need to make a seal over the victims mouth and pinch their nose. Each breath should take around a second. Can you use a defibrillator on a wet surface? Next story Can you do ACLS recertification online?